The hat has been around for an extremely long time. 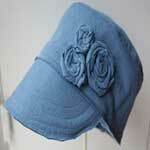 Starting in the early 1900's the bonnet was the common hat style wore by women. Stylish wide brim hats with ribbons, flowers and other trims were popular in the late 1900's. The cowboy hat has been with us for decades. Work hats, stylish hats and ones that keep our heads warm, reminds us that the hat is here to stay. 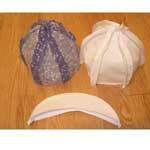 Below you will find many different hat patterns and instructions. A hat doesn't have to be difficult to make, especially when you take time to follow one of these step by step patterns. Here is a handsome billed cap made out of heavyweight cotton. Pattern is for children ages 4 to 6 years old. 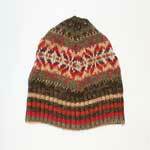 Take an old sweater and turn it into a warm winter hat that looks fabulous. Babies tend to chill easily, so why not make your baby a cap that will help keep him or her warm and looking stylish at the same time. 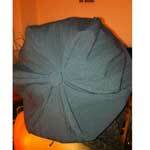 Detailed hat project for a good looking beret with pleats that extend out from the button on top. Recycle old t-shirts and make a cute little cap for baby. The cap has bunny ears that can be tied together for a really sweet look. 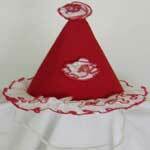 This clown hat has ruffled trim around the bottom edges and on the top for a clown hat right out of the circus. 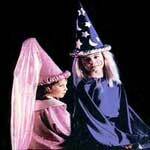 Make this cone shaped hat adorned with decorations of stars and moons for a wizard or add a veil at the point for a lady-in-waiting effect. 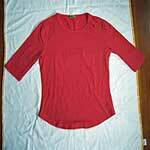 Make this one in just a few minutes using a old sweatshirt and some scissors. 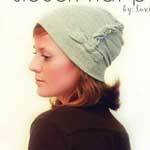 Using stretch knit and this pattern you can make an attractive slouch hat. This one is so easy to sew you might just make more than one. Using some felted wool you can create this adorable bunny hat with matching mittens that look like bunny paws. A hat will keep the sun off of baby's face and also look so cute on his head. 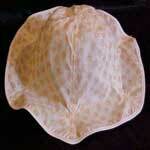 Make a sun hat to match a girl's sundress or a boy’s denim shorts using this hat pattern. 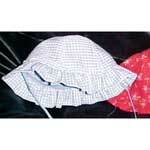 Here is a pattern for a sunbonnet with a ruffled trim. 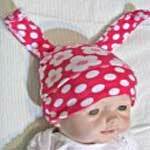 Your little toddler will look just precious in a sunbonnet made to match any outfit. 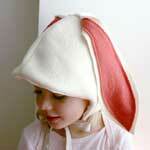 This one with a fluted edge looks adorable on a little girl and is so easy to sew. Make one or several of these. 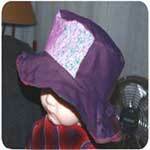 Easy to follow project with illustrative pictures for making a hat with a brim. You may want to make two, one for warm weather and the other for cold weather. 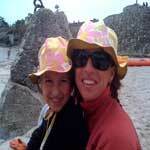 Great sun hat pattern for adults and kids alike. Choose your favorite prints and colors, then make a one to match an outfit or leave it a solid color to go with anything. 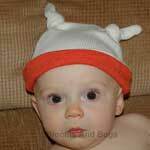 Your baby will be as snug and a bug in a rug when he or she wears this precious knit cap with knotted ears. In the need for a really small top hat to top of a costume? 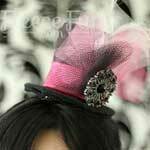 Here is a detailed pattern with pictures for a teeny tiny top hat. Make a cool hat out of an old t-shirt. 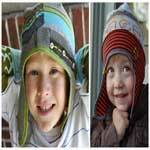 It’s easy and inexpensive to sew adorable headwear using this step by step pattern with photos. 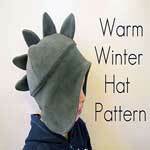 Keep ears and heads out of the winter chill by making a really awesome warm and cozy cap for a girl or boy using this easy to follow cap pattern. 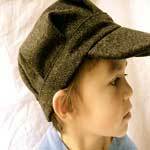 Using fabric scraps and worn out clothing, you can easily create these sweet and charming hats for your children. 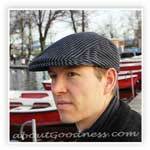 This man's cap works well in cold or warm months just by choosing the right fabric. Pattern has all you need to make this cap.